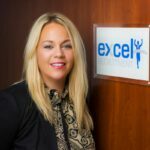 We here at Excel Recruitment are currently looking for a passionate and experienced Grocery Manager for our client in Roscommon. The ideal candidate will have previous managerial experience in a busy and demanding retail environment. If you feel you have the necessary attributes and experience for this Grocery Manager Job please apply by following the instructions below. If you are unsure if you have the right experience for this job, or if it’s not right for you, please feel free to call Nikki Murran on 01-8148747 as I am always happy to have a chat about the various retail jobs we have.